Here at k:SPA, we are thrilled with the response we have received to our diverse range of limited Digital Detox specials introduced at the beginning of the New Year, and are releasing additional specials for February! So, why are k:SPA keen to continue our theme of digital detoxification? 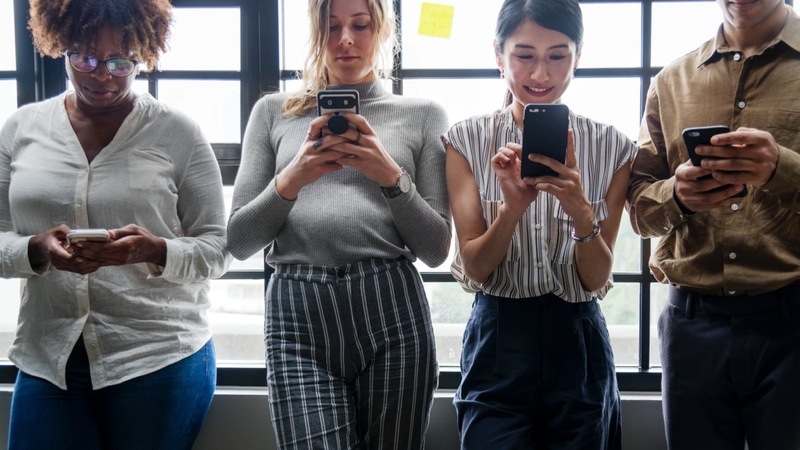 There is no denying it – technology is incredibly valuable day to day, with smartphones, social media, the internet and wireless connectivity making life smoother for us in so many ways. However, this value is rendered futile when the negative health impact of such technological dependence is considered. Technology has managed to infiltrate so many areas of our lives that we may not even realise the extent of our dependencies – with the term “Nomophobia” coined to describe the irrational fear felt when access to technology like mobile phones isn’t possible. The negative effects of such intense usage is clear in the increasing number of physical complaints the k:SPA salon team see, as the body is incredibly communicative of such stresses – such as muscular tension or poor posture. This is not including the effect of this reliance on our mental well-being, with individuals often experiencing depression, anxiety, and restlessness if left to their own devices, when technology isn’t available. This is why it is so important to start taking back control, and be kinder to yourself when you aren’t using your digital devices – finding new ways to stimulate your brain, and engage your body. Even small steps to reduce your usage are proven to have positive effects on productivity, mood, stress levels, and even sleep! From focusing on more social interaction, to exploring new interests and rekindling those since eclipsed by the likes of your mobile phone – it is important to find things that make you forget to check your notifications. How Can k:SPA Support you? This February, the k:SPA team are pleased to be able to continue our Digital Detox theme, and introduce a new variety of monthly detox packages to support you in taking the steps to take time out and focus on yourself, with no interruptions. We are offering an exclusive hour-long k:SPA combination treatment – enjoy a 25-minute k:SPA Bespoke Massage, to restore a sense of overall wellbeing and tranquility, or tackle problems areas, such as tense muscles from stress. Once you are suitably relaxed, you can move on to enjoy a ‘taster’ session of the long-established healing method Reflexology available here with us, where areas of the body can be cared for through focus on specific pressure points of the feet, encouraging rebalance and energisation. You can enjoy all of this for just £55! To find out more about the range of revitalising experiences available with the k:SPA team, please feel free to get in touch with us, by calling us on 01489 880497, emailing us at info@mykspa.co.uk, exploring our website, or visiting us in-store at our Whiteley salon!